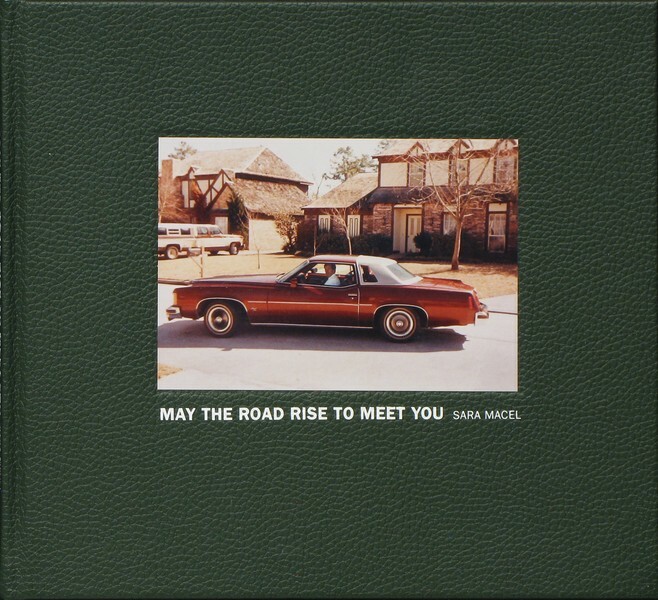 Book Review May the Road Rise to Meet You By Sara Macel Reviewed by Christopher J Johnson Sara Macel's book, May the Road Rise to Meet You, takes on the role of traveling salesmen and the plastic and interchangeable settings of their lives. Macel followed the movements of three different salesmen as they made their various journeys, giving us their view; airports, hotel rooms, sales meetings and ever-changing rental cars. May the Road Rise to Meet You. By Sara Macel. Daylight Books, 2013. Hardbound. 84 pp., 50 color illustrations, 10x9". Sara Macel's book, May the Road Rise to Meet You, takes on the role of traveling salesmen and the plastic and interchangeable settings of their lives. Macel followed the movements of three different salesmen as they made their various journeys, giving us their view; airports, hotel rooms, sales meetings and ever-changing rental cars. The book is of a variety of themed books that run through a documentary style narrative, often employing the use of ephemera (letters, notes, photographs of older photographs) that is becoming more and more popular in art books. I am a huge fan of this approach. The ephemera included in this book are notes written on hotel and motel letterheads. They are simple inserts with weekday information, notes like, "Lunch-Thomason -AMEREN Meeting Monday 2pm" etc. They do add much to this book, the setting of which is parking lots and hotel rooms with their cheerless drapes and carpets; an ever shifting and yet often eerily similar interior. May the Road Rise to Meet You, by Sara Macel. Published by Daylight Books, 2013. A bit of the eeriness is to be found in the still-life-like scenes depicted in these photographs; a generic looking coffee cup near a no smoking sign; a man sitting at the foot of a perfectly made bed aiming a hotel remote control; a generic diner with generic silverware spread and newspaper. These are the type of photographs that bring you into the lives of these salesmen. However, these lives are strangely bodiless, or better, they seem to have no anchor; they are transitory, but not in the sense of the shiftlessness wanderer, but rather commercial travel and lodging. The pages dull the viewer as they progress through May the Road Rise to Meet You and this gives rise, in me, to a conflict. May the Road Rise to Meet You might be trying to tell us something, something that brings with it a shock of realization, a sense of beauty or wonder, or even a push towards empathy. But it doesn't get there, in my experience. It leaves you with the static and often detached feeling of cheap hotels, communal cars and transit stations. Places that are too ordered and so, feel impersonal, places that one passes through, but isn't meant to remain.